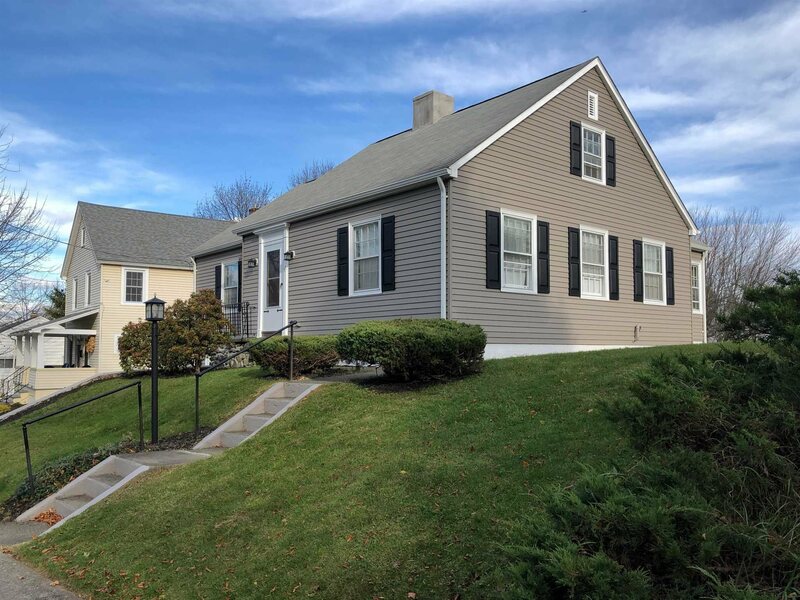 TASTEFULLY UPDATED 3 BEDROOM, 1.5 BATHROOM CAPE COD LOCATED ON POUGHKEEPSIE&apos;S DESIRABLE SOUTH SIDE. IMPRESSIVE OPEN FLOOR PLAN FEATURES REMODELED KITCHEN WITH STAINLESS APPLIANCES, GRANITE COUNTERS, DESIGNER CABINETRY & TILE FLOOR. DINING ROOM FLOWS SEAMLESSLY TO LARGE LIVING ROOM W/FIREPLACE & BUILT-INS. RENOVATED BATHROOM W/TILE SHOWER. LARGE SUNROOM LOADED WITH NATURAL LIGHT CREATES EASY ACCESS TO MASSIVE BACK YARD. LOADED WITH ATTRACTIVE FEATURES SUCH AS REFINISHED HARDWOOD FLOORS, CROWN MOLDING, RECESSED LED LIGHTING, NEW CARPET & FRESH PAINT. ATTIC AREA APPROVED FOR FOURTH BEDROOM OR FULL BATHROOM. NEW HIGH EFFICIENCY FURNACE W/CENTRAL A/C, HYBRID HEAT PUMP WATER HEATER, 200 AMP ELECTRIC & GENERATOR HOOKUP. ONE CAR GARAGE PLUS BASEMENT FOR AMPLE STORAGE. ENJOY THE CONVENIENCES OF NATURAL GAS, MUNICIPAL WATER & SEWER. SITUATED ON A DOUBLE LOT, WHICH CREATES AN EXPANSIVE BACK YARD AND TREMENDOUS SPACE FOR OUTDOOR LIVING ENJOYMENT THIS SUMMER. LOCATED JUST MINUTES FROM POUGHKEEPSIE TRAIN STATION, COLLEGES, HOSPITALS, RESTAURANTS & SHOPPING. THE PERFECT PLACE TO ENTERTAIN OR RAISE A FAMILY. Robin was forwarded to me by a friend of mine. She was extremely professional from the beginning all the way to the end of my home buying experience. She was available anytime I needed her and showed me numerous places. When it came to putting in an offer, Robin was extremely organized. She used digital platforms as well as hard copies to ensure prompt responses from all parties involved. She supported me from start to finish every way I needed and even helped me after my purchase with some interior decorating advice! I have recommended and will continue to recommend Robin to friends and family in the future. Ken L.
© Mid-Hudson Multiple Listing Service, Inc., 2019. Information deemed to be reliable but not guaranteed. The data relating to real estate for sale on this website comes in part from the Broker Reciprocitysm Program. Real estate listings held by brokerage firms other than RLD Realty are marked with the BR logo and detailed information about them includes the name of the listing brokers. Listing broker has attempted to offer accurate data, but buyers are advised to confirm all items. Information last updated on 2019-04-20.